What will you do if you get a call on holiday or weekend that your website hosted server is consuming 95% CPU utilization due to IIS worker process and within a few minutes, your server is going to crash and your website will not be accessible? You have to access the server and recycle your app pool, right? Can we provide some automated solution for this? Yes, fortunately IIS can take care of this situation. Let's say if CPU utilization reached to 92% and it remains at 92% or more for next 3 minute then we want IIS should recycle application pool automatically. Follow below steps to achieve this. Now no manual intervention is required. You can enjoy your weekend. But remember this is not a a solution, this is just a work around for the problem. You should find the root cause of the problem. Instead of logging everything, we want to log only error messages to reduce the file sizes. 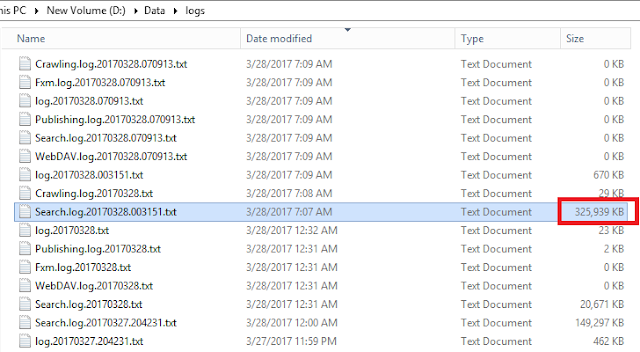 Open your Sitecore web.config file. Now your search log should only record searching related errors. In same way, you can also change log level for Crawling, WebDAV, publishing and Sitecore logs files. I hope you like this Sitecore trick. Stay tuned for more Sitecore related articles. Please leave your comments or share this trick if it’s useful for you. Message: The remote server returned an error: (401) Unauthorized. What’s the root cause and how to fix this error? Problem was that Anonymous access permission was denied on server for Sitecore folder. 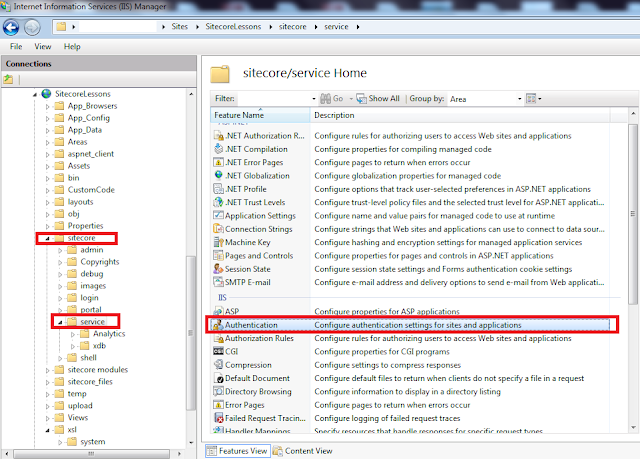 It’s a good practice to remove access permissions from Sitecore folder on CD server. However to fix this issue either we have to provide access permission to Service folder or keep its files on some other location and then change config files entries according to that new path. We didn’t find any new error in log files after allowing permission to Service folder. I hope you like this Sitecore tip. Stay tuned for more Sitecore related articles. Please leave your comments or share this script if it’s useful for you. In one of our project, I have to forcefully expire the Sitecore session so that it flush the data to MongoDB. For this either you can restart IIS or start-stop your website. But this action require you to login into the system. But what if you are accessing Sitecore remotely or over the internet. So I write this script which expire the session and clear the Sitecore analytics related cookies. I called this script as "ForceSessionEnd.aspx" and keep it in "Website" folder. Access this script over the browser as "http://yourinstancename/forcesessionend.aspx". After running this page, you will get latest data on mongo database. Feel free to add more cookies as per your need. I hope you like this Sitecore script. Stay tuned for more Sitecore related articles.